Cheesy title much? 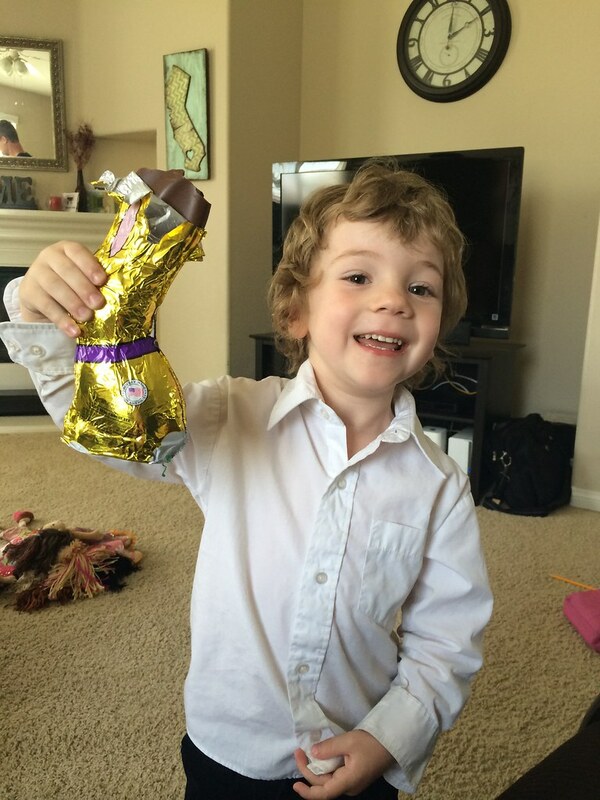 Yep, I would say so, but we did have a great Easter. We planned on hunting for the baskets before church, but sleep won and time slipped away, so we were mean and made the kids wait until after church. 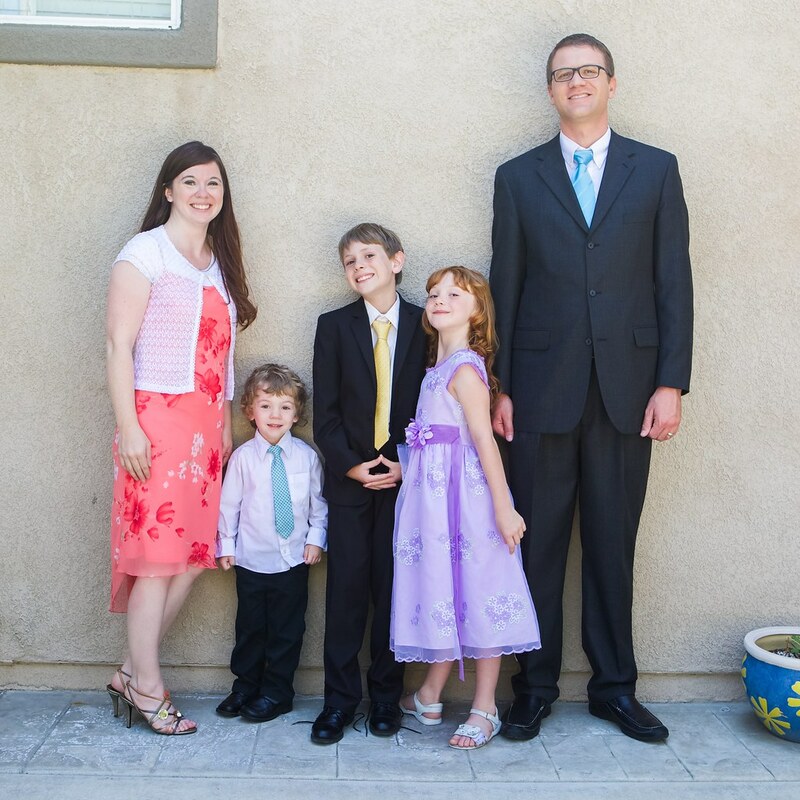 Having to wait did have one great benefit, they all cooperated really well for the mandatory dressed up nice Easter pictures before they were able to look for their baskets. We had some fun too of course. Then it was basket hunting time. We don't just hide the baskets and send the kids off to find them, they have to follow the clues (a tradition we have continued from my childhood). The older the kid gets, the harder the clues get. Ryder's clues were just pictures he had to follow. Thankfully despite my poor drawings he was able to figure out all his clues. Alex was able to pretty quickly figure out her's. As soon as she read the mess line, before she even read the rest, she knew exactly where to go. Yea, that is saying something. 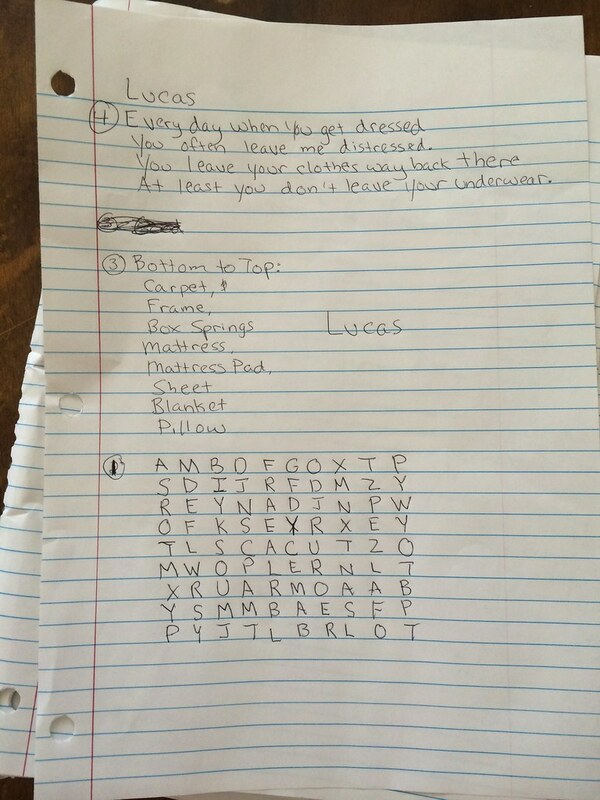 Lucas actually saw (and started figuring out) his clues that morning, shouldn't have left them on my nightstand. So after church we re-wrote his clues, making them even harder, complete with a word search that led him to Minecraft on the computer where Eric had created a world with a sign for his next clue. In the end they were all able to successfully find their baskets and enjoy their spoils. 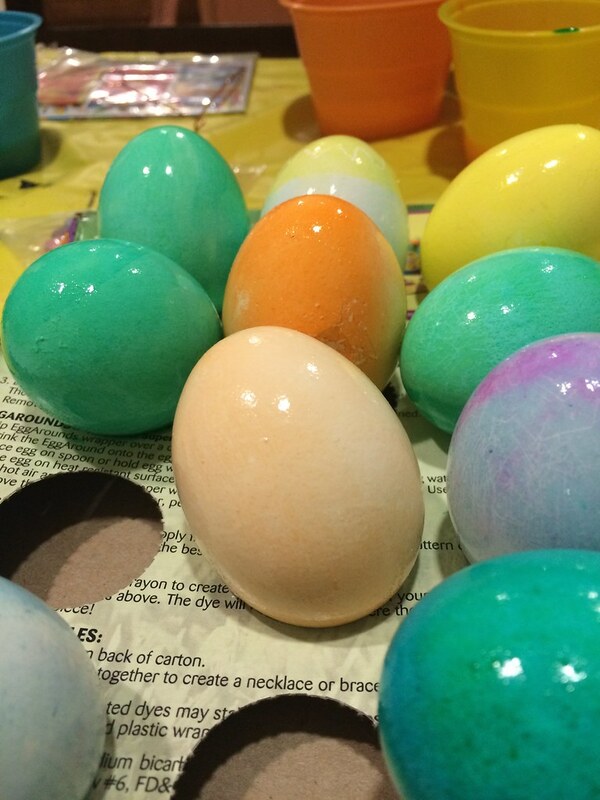 We finished the night with a fancy ham dinner and finally at 7:00 actually dyed some Easter Eggs. Hey, better later than never right? How was your Easter? What do you do with your Easter baskets? Wow--the clues blew my mind...very tricky...I wouldn't have a clue where to look for a couple of those. Super-wonderful pictures. What a cute basket hunt! We went to services on Saturday night so we all slept in on Sunday. 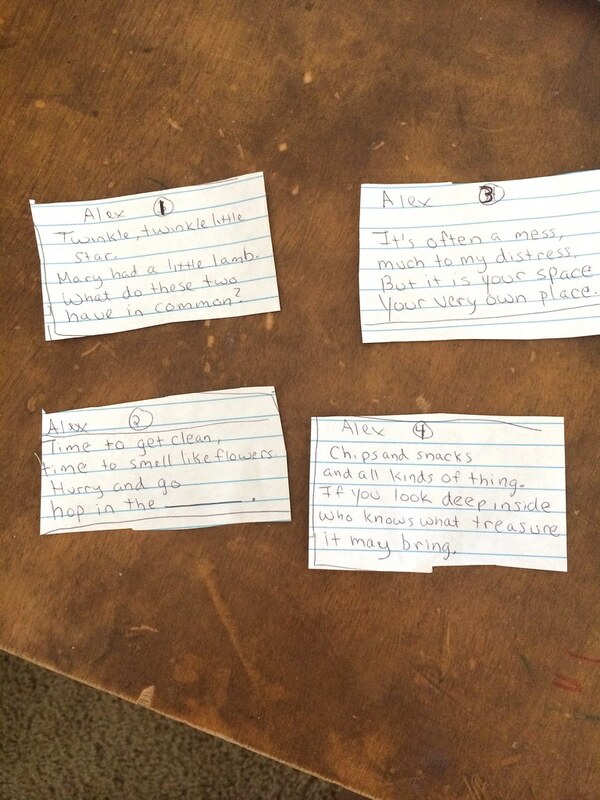 I'll have to remember the clues idea... our Bunny just hid them and the boys had to look. Those are hard clues! LOL!! I'm doing the hunt for baskets next year. My kids are old enough already!! Yea we did make them tricky, but some are things that are specific to our family so they knew the answers pretty quick. Awe, you make people like me look horrible :). We actually didn't know we were getting Tori until really late in the week though, so... I failed at the whole Easter Basket thing totally! I love the little scavenger hunt thing though. Very awesome! 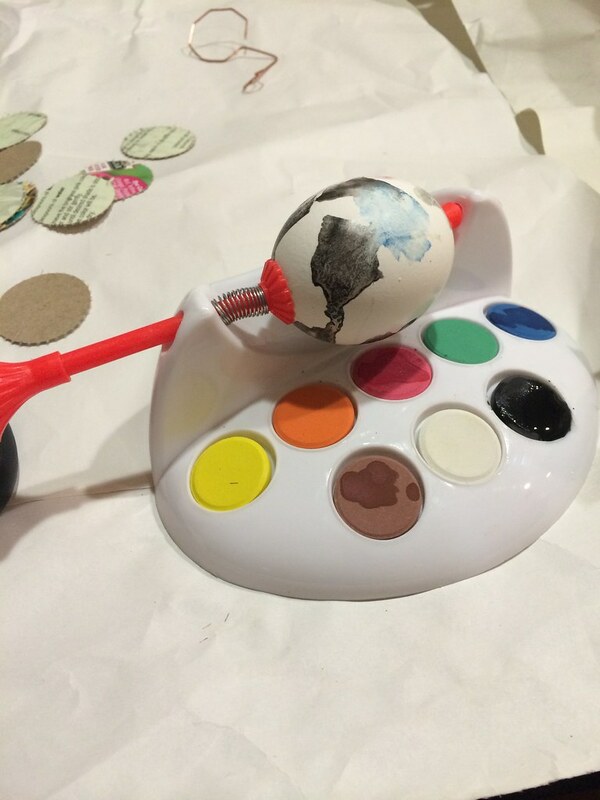 Don’t feel bad at all, other than the clues we don’t do much, didn’t do an egg hunt, barely dyed our eggs, so we each have our own thing. This is just something we did growing up so I continued it on. I remember my dad wrote a clue so hard one time it took me 10 minutes to figure out. I love the idea of the clues and I say this all the time but I adore how expressive Alex is! What a great day! 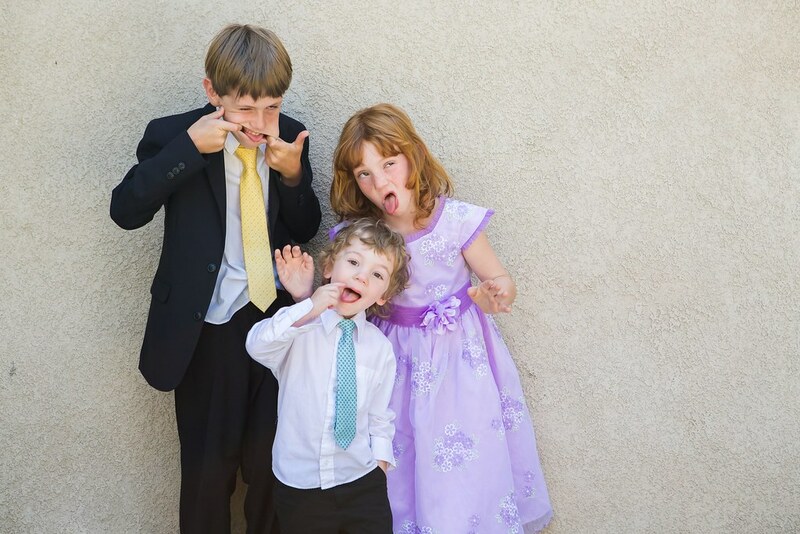 Love the silly family pictures! I love how you go all out for the holidays. 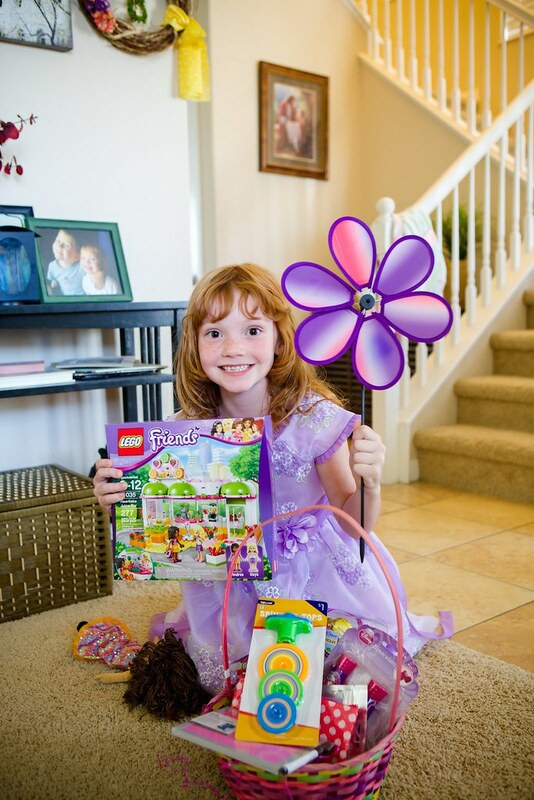 An Easter egg hunt for their baskets is such a great idea! Happy Easter! Love the goofy pic. Definitely my favorite! What a fun family tradition I love that you give them clues! 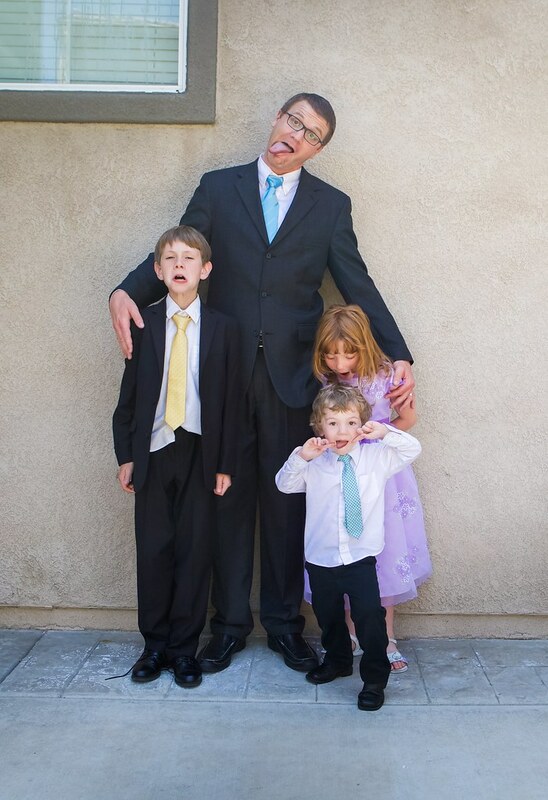 You all look so nice and silly and may I add, your Mr. Lucas is getting tall like his daddy! Gosh, we're more boring than I thought! We just set it out during the night and she walks in and sees it in the morning! 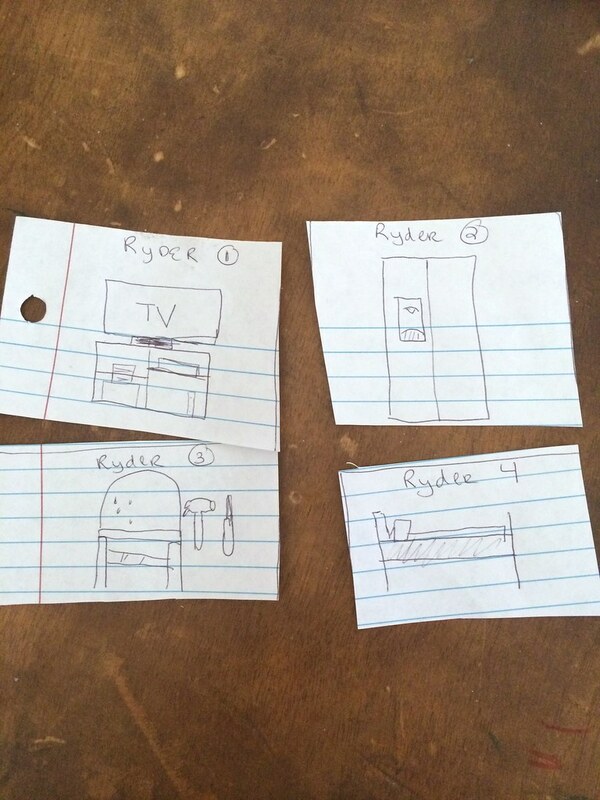 :) I love your clues for the kids - what a creative mommy you are! Ah! So fun! Love your clue thing. 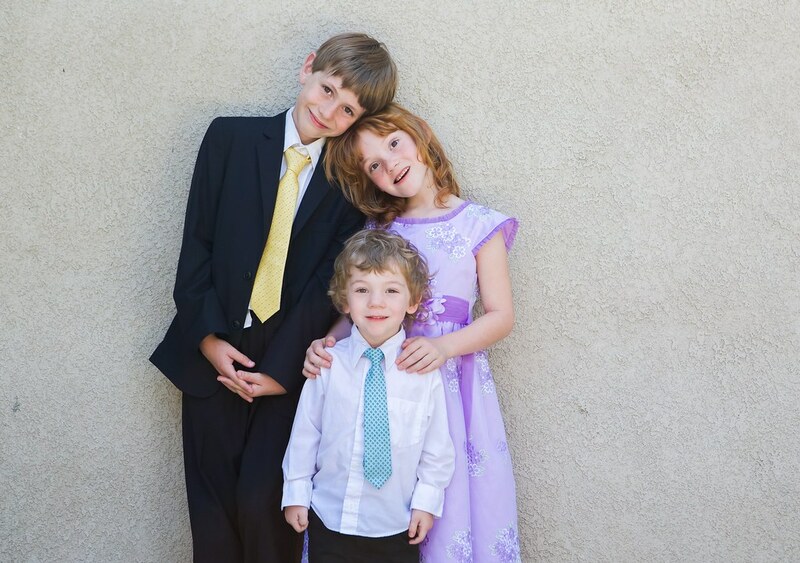 And I love the picture of your three kids - so wonderful! Love you guys!!! The pictures are great! 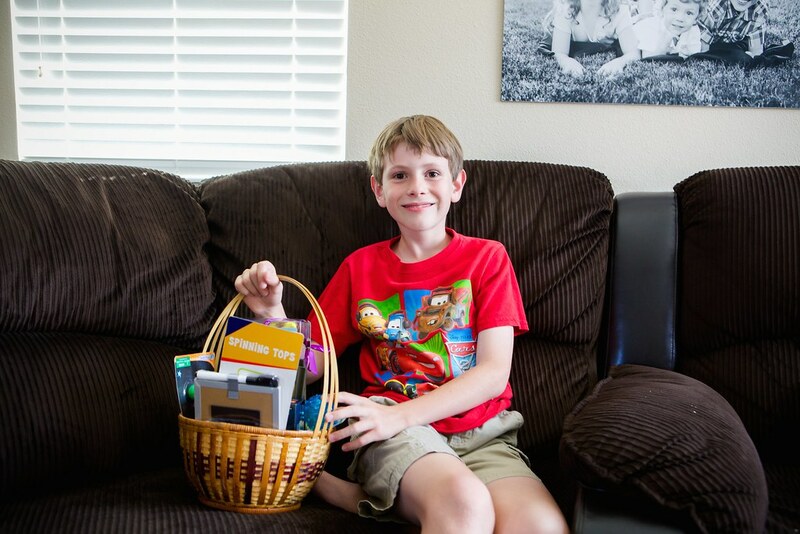 What a fun idea to do a treasure hunt for the baskets!! I love it! Yes my kids love that tradition, I totally loved it growing up too.